Nikki Calloway, New Orleans influenced Asheville musician, brings the music to Metro Wines on Friday, June 19th from 5 to 7pm. A free wine and beer tasting will accompany the performance! No cover charge. Tips appreciated. Nikki Calloway, New Orleans influenced Asheville musician, singer and songwriter, brings the music to MetroWines on Friday, May 8th from 5 to 7pm. No cover charge. Tips appreciated. Storyteller David Novak Returns to MetroWines! Storyteller David Novak returns! Metro Wines hosts a salon experience with Disney Institute Master Storyteller David Novak on Sunday, May 3rd from 3pm to 5:00 @MetroWines, 169 Charlotte Street in Asheville. Novak is an award-winning storyteller, author and actor. He performs at the nation’s top storytelling festivals and teaches the art of storytelling around the world. A recipient of the Oscar of the storytelling world, the Circle of Excellence Award from the National Storytelling Network, he is a master of all genres and brings hundreds of stories to life. Seating is limited. Tickets are $15 per person and include a complimentary glass of wine or beverage. For reservations call 828-575-9525. This is Connie Regan-Blake, StoryTeller. We are proud to say that Connie joined us for the Loyola University New Orleans Alumni Event here @MetroWines. And Connie will join us for a performance on August 21st. Details below! “A Slice of Life” performance on Friday, August 21st, 7:30 @Metro Wines, 169 Charlotte Street - with plenty of parking. Admission $15 (includes a glass of wine!) For adults and those like-minded. Connie Regan-Blake is a nationally celebrated storyteller and workshop leader. Join us for an evening of stories as her storytelling students "Take the Stage!" Performers include Christine Westfield, Vixi Jil Glenn, Jane G. Marshall, Juditta Musette, Kirsten Mitchel, and Sherry Lovett. You can't help but lean in when Connie Regan-Blake says "I'd like to tell you a mountain story." Her voice starts to rise and fall, her hands weave through empty air. "This particular tale takes place back in the times when people really depended on horses. They were a part of their daily lives, as was death — something they had to deal with and we have to deal with today." You may be sitting here in the 21st century, but Regan-Blake takes you to a timeless place when a woman can be buried alive in a mountain graveyard, but startled back to consciousness when a grave robber tries to cut the ring from her cold hand. Entire Story and Photos HERE! Cecil Bothwell "Barns and Birds"
"Barns and Birds," a collection of oil paintings by Asheville City Council Member Cecil Bothwell will show Saturday, April 18th from noon to 5pm and Sunday, April 19th from Noon to 5pm @MetroWines, 169 Charlotte Street. Barns are falling down on farms in WNC as tobacco disappears and farmers roll hay instead of baling it. Asheville artist Cecil Bothwell works to preserve some of the remaining structures in his oil paintings. together with portraits of his favorite chickens. His “Barns and Birds” collection brings together disappearing history and feathered whimsy. Pop UP Comedy returns to MetroWines with Tom Emmons and Carrie Adams on Friday, April 10th from 7pm to 8pm. $10 plus tax buys you a glass of wine or beer, popcorn and a great show. Parking is free, easy and close. Laugh out load! Tom is just peachy. Starting comedy at a young age only seemed natural, but was rapidly stifled due to Ritalin. Upon graduating from college at the tender age of 27 with a B.S. in General Studies, he was sure that his life had the pinpoint focus required for success. Tom is a founding member of No Expectations Comedy, a 2015 finalist in Carolina's Funniest Comic and a repeat performer in Laugh Your Asheville Off and Orlando Indie Comedy Fest. Enjoy a trip to the bizarre with his preposterous observations. Amadeus (Director's Cut) at Fine Arts Theatre! MetroWines has partnered with Fine Arts Theatre to present "Amadeus" to support The Asheville Symphony Orchestra. To accommodate a bigger audience, the previously scheduled presentation at MetroWines on March 13th has been relocated to Fine Arts Theatre to show Thursday, March 12th at 7pm, $10! Join The Asheville School of Wine us for "Friday at Five" featuring an exhibition by MetroWines Resident Artist Artist Sandee Johnson titled "African Breezes, together with a Tasting of South African Wines on Friday, March 6th from 5 to 7pm @MetroWines, 169 Charlotte Street. No charge for "Happy Hour" and parking is free, easy and close. Good conversation is always enhanced with good wine. Metro Wines hosts a salon experience with Disney Institute Master Storyteller, David Novak on Sunday, February 8, 2015 at 3 PM @MetroWines, 169 Charlotte Street in Asheville. Novak is an award-winning storyteller, author and actor. He performs at the nation’s top storytelling festivals and teaches the art of storytelling around the world. A recipient of the Oscar of the storytelling world, the Circle of Excellence Award from the National Storytelling Network he is a master of all genres and brings hundreds of stories to life. Seating is limited. Tickets are $15 per person and include a complimentary glass of wine or beverage. For reservations call: 828-658-4151 or email: Ruth@david-novak.com. Cash at the door. Trained at Studio Escalier in Paris, Asheville Artist Jason Rafferty shares his extraordinary work with us. In the spirit of good craftsmanship, what goes into a painting and how it is constructed should be just as important as the painting itself. The process of creating a piece of art starts long before commencing the painting. There is intimacy and satisfaction in the ritual of preparing your own work surfaces, whether canvas, paper or panel. I follow methods informed by the Old Masters as well as well as contemporary research into the most stable and durable methods of construction. Preparing surfaces according to sound principles ensures their durability for centuries. Panels are measured, cut and sanded, sized with archival glue, coated several times with a homemade traditional gesso, and re-sanded for a fine, smooth surface. Canvas must be trimmed, stretched taut on hand-assembled wood strips, and have an oily ground applied. Paper is sized with glue and can also be gessoed for a versatile, portable drawing or painting surface. A recent favorite is mounting prepared paper or linen to a panel. The possibilities are wide open once one gains a familiarity with the craft. Since 2010 I have apprenticed with a handful of professional artists that know how to create great drawings and paintings that will last. In particular, my ongoing work with the landscape painter John Mac Kah has solidified my understanding of the craft elements of painting. Apprenticing in John's studio, I have been shown the value of small-batch, homemade surfaces over those produced in mass, far away. In the same line, the paints I use are of the absolute highest quality, providing rich, stable coloring, and many are ground locally at Blue Ridge Oil Colors in Asheville, NC. The same consideration is also given to framing. I am a scrupulous framer, choosing each design uniquely for its artwork. Upon obtaining a frame, I will paint or stain the back for clean appearance, wax the entire surface for sheen and protection, clean the glass (if applicable) with a microfiber cloth, and carefully hand-assemble it with the art. I now frame drawings using museum conservation techniques for works on paper, involving hinging the art to the mat with rice starch glue and feathered japanese paper. Everything is acid-free and archival, assuring it will endure for generations. Artists: Check my resources page for additional info on John Mac Kah's studio. I also link to a few good books that we use for reference on matters of craft. Currently I don't know of a good online resource. Far and away the best resources, however, are knowledgeable artists within your own community or abroad. Selected images provided on this page are courtesy of Michael Milano, a good friend and an outstanding photographer/filmmaker. I certainly recommend checking out his work, linked on the Resources page. Julie Lewin, author of "Get Political for Animals," Founder and President of The National Institute for Animal Advocacy, will speak @MetroWines on Tuesday, October 14th at 6pm. The event is free and open to all. "A lawmaker's primary concern is to be re-elected. Base your lobbying strategy on this simple reality, and you can win animal protection laws that are now only fantasies." Julie Lewin, NIFAA President & Trainer If you want laws and public policies to prevent companion animal overpopulation and laws against hunting and trapping, dogfighting, puppy mills, dog chaining, pet stores, circuses, rodeo, dog and horse racing, factory farming and animal research...and want them enforced...and want to elect humane lawmakers...and want to lobby for animals and have it count... The key to your success is political action. Despite the tremendous strides in public awareness over the last decade, laws and ordinances for the protection of animals remain tragically weak. The reason is shockingly simple: Animal advocates do not function politically. NIFAA was founded in 2002 to fill a critical void in the animal rescue and rights movements. To win the strong state and local laws we so much want and that the animals so desperately need, we must become "political animals." Being political means launching voting blocs in our town, city, county or state; that is, organizing politically and endorsing candidates. As all other grassroots issue groups know, when it comes to the lawmaking arena, there is no substitute for the leverage of endorsements. (Lobbying for a charitable organization and sending legislative alerts only nibble at the fringes of political power.) It's not at all hard. A few advocates can make it happen. It simply requires a refocusing, rejecting our old way of thinking and assumptions, and embracing these truths. NIFAA will show you how! ALL the proceeds from the sale of these framed works go to benefit Child Abuse Prevention Services (CAPS). Read about this worthy organization and their work here. "Wizard of OZ" is by well known and highly regarded artist and illustrator P.J.Lynch. And "Fantasy Clock" and "Dreamer's Trunk" were done by acclaimed artist Dean Morrissey. Both would make wonderful gifts for the holidays that could be passed down from generation to generation. Come take a look @MetroWines. Each piece $350 framed. About the artist Dean Morrissey. Click here. What CAPS wants you to know about this well known artist! Dean Morrissey is the author and illustrator of “Ship of Dreams,” which is a “New York Times” best illustrated book, “The Moon Robber,” and “The Christmas Ship.” His most recent title, “The Monster Trap,” was named a Book Sense Pick and was praised in a “Kirkus” starred review as “Mercer Mayer meets Rembrandt.” His studio is in Massachusetts where he resides. Price: $350 framed. About the artist, P.J.Lynch. Click here! What CAPS wants you to know about this great and highly regarded artist: P. J. Lynch has worked a Children’s Book Illustrator since leaving Brighton College of Art in England in 1984. He has won many awards including the Mother Goose Award, the Christopher medal three times, and the prestigious Kate Greenaway Medal on two occasions, first for “The Christmas Miracle of Jonathan Toomey” and again for the “When” Jessie Came across the Sea” “ by Amy Hest. “The Christmas Miracle” has sold over a million copies in the U.S. alone. In recent years he has been commissioned to design posters for Opera Ireland and the Abbey Theatre. He has lectured at major libraries and galleries throughout Ireland and resides in Dublin. Sandee will begin in August with pieces from her series,"Lost at Sea," changing the exhibition in Septmeber and October. We will continue to show and offer pieces from "Portals" by Alice Donor and Jason Rafferty will show his "French Landscapes" in November. Returning in December, Sandee Johnson will present her vast and varied collection of work @MetroWines. Her amazing accomplishments are presented below together with an interview with Dennis Ray introducing her philosophy, her work, and herself. Internationally recognized, award winning artist Sandee Johnson, opens "Lost at Sea" @MetroWines on Friday, August 8 from 6 to 9pm. Sandee Johnson will offer a new exhibition in September and October. MetroWines will continue to showcase the pieces from the Alice Donor collection "Portals" and looks forward to the exhibition, "French Landscapes" by Jason Rafferty in November. Beginning in December, Sandee Johnson will become the Artist in Residence @MetroWines. After 35 years of living on four continents, Sandee Shaffer Johnson has chosen Asheville as home. This widely exhibited artist is somewhat of a gypsy, having traveled or worked in over 85 countries, exhibiting in over two hundred group, corporate or solo exhibitions. Locations include Paris, Moscow, Rome, Berlin, Geneva, Shanghai, Seoul, Tokyo, NYC, Washington DC, Amsterdam, Beirut, Brussels, Tel Aviv, Luxembourg, Budapest, Sofia, London, Stockholm and Lisbon. Techniques include acrylics, collage, papermaking, encaustic, watercolor, oil & cold wax , printmaking, assemblages, pen & ink and photography. www.sandee-art.eu. 2013 Masks, Africa House, Lynchburg, VA.
1996 Cover and featured artist, Spring/Summer issue, "Visuel"
Represented for reproduction of the series “Vessels” by Graphics International in Germany. Work is currently being produced for posters, on canvas and also for wallpaper through a Swedish firm in London. * My artwork can be found in private and corporate collections throughout the United States, Europe, Asia, the Caribbean and Middle East but most records were lost in the final move from Europe to the United States in 2008. You have shown your art all around the world and have been in over 200 group, corporate or solo exhibitions in 35 years. How have you managed to stay so prolific? When I get excited about a series or idea I sometimes work 18 hours straight, fueled by adrenaline. Since I never had children there are few interruptions. Ideas flood me, regardless of circumstances, though I must admit that Asheville’s unexpected summer heat wave did encumber my creativity. I seldom sit still and do nothing; when I shattered an ankle last year and was transformed into a semi-invalid for three months, I actually managed to do 145 works on paper, ranging from imaginary botanical pen & inks to watercolors, mixed techniques and hand colored photos. Even though I explore multiple series and diverse mediums I follow up on a single series until the pieces may number in the hundreds. I don’t just jump from one theme to the next but try to explore it thoroughly even as it evolves. It was a convoluted journey with multiple false turns. After living in eight countries on five continents I finally decided to retrace my Southern roots and “nest” while I was still physically able. My husband and I sadly left Europe for the final time—our home for twenty years--and returned to central Virginia to settle near family. The overall fit and adjustment was impossible. In the meantime we made multiple trips to Asheville before deciding to leave our “money-pit” house and move to a location where culture, scenery, the arts, environment and open minds prevailed. I also returned to our fisherman’s house on the Brittany coast of France and admitted that the only way we could afford to make that final move was to sell the vacation home there. It was gut-wrenching to pack up another studio after already shipping back artwork numbering in the thousands, furniture and flea market finds from Belgian, German and west coast residences. In the end we downsized to a condo in north Asheville but compensated by renting a sprawling studio space in the River Arts District. That’s actually a problem since I can find subjects almost everywhere. In Europe, monochromatic pieces in whites, browns, grays and blacks with political or intellectual motifs were widely accepted and appreciated. American tastes, at least in the south, seem to gravitate towards colorful “happy” artwork that remains more decorative than thought-provoking. So in order to become more commercial to sell artwork here, I’m being channeled into a different direction. Nature, music, other artists, events, people, locations, history, performances, books…the inspiration list is infinite. I’ve also done commissions and works on spec that I wouldn’t ordinarily attempt. A German publishing firm requested humorous cat paintings to reproduce into posters. The publisher stated that they were “too American” but I’ve gotten such positive feedback that I’m continuing along that same concept. You are by far the most versatile artist I have met. Your work includes oil, watercolor, pen & ink, photography and at least a dozen other mediums. The amazing part for me is that you have seemingly mastered all of them. How did this come about and why work in so many mediums? I’m always challenging myself and have problems with getting bored. I can’t imagine artists spending their entire career doing the identical sort of artwork in the same way. Yet a person’s general style should be recognizable to be marketed; my chameleon diversity is sometimes a detriment. But I insist that there must be an evolvement as circumstances arise and change alters your creative perception-conception. Particular topics yearn to be enhanced in complex ways. For instance, my “Work Ethic” series explores multiple techniques and atypical materials that meld into mixed media creations that evolve with time. Metals, leather, recycled materials, intricate drawings and computerized digital grounds merged with acrylics to add surprise to the finished pieces. Some art is more intriguing in specific mediums. Recently I took a sculptural papermaking class which has filled me with passion to incorporate this medium into future assemblages. I had already experimented for years with papermaking but the simple forming of sheets or casting pulp became stifling to me. This in turn means that I’m sending a more cohesive piece to Korea for an upcoming show rather than submitting embellished handmade paper. Using cold wax and oils to make multi-layered abstracts is also an exciting development. Learned in a local workshop, this combination of mediums is pushing me into trying still another way to create. Sometimes I’ll experiment on a new modality after perusing various art books. Though I almost failed Home Economics in high school I recently bought a sewing machine for free-style embroidery that will combine my most recent exploration—hand dyeing felt—with various other mediums. I’ve been rusting fabric in my kitchen, cooking Japanese Kozo fibers in soda ash and pounding wool to create felt. Stir in a one-day encaustic workshop emphasizing textiles and even though I don’t know exactly what I’m going to do with it all, my creative juices are percolating. You’ve been all over the world. Do you find location plays some part in your art? Do you look at your body of work and say “This painting could only have been painted in Rome,” or does inspiration come from within? Good question. Definitely, location has a shaped my direction. I believe the final inspiration comes from environment, the tools you have to work with, personal emotion and the way you choose to interpret the moment. Some locations create edgy work. For instance, I have been an artist-in-residence in former East Berlin several times in addition to a residency program in Hungary that was housed in a villa where former political prisoners had been tortured. I also lived in Lebanon during part of the country’s civil war and was working in Colombia during a surge in criminal drug activity that targeted Americans. Since all these experiences forced my awareness of the global situation, I felt compelled to put together an exhibition “Politicide,” which utilized painting on X-rays, using my own blood on suitcases and sheets to “whitewash” political decisions and a solid wall of acrylic paintings that portrayed innocent victims or collateral damage. I searched the streets of Berlin for materials that enhanced installations shown by candlelight and invited a South African friend who we’d visited in Moscow to co-curate the show. She brought a whole different energy to the exhibition which collected donations for Human Rights Watch. I strongly believe that the arts in general have a responsibility to demonstrate worldwide concerns and to educate the public on unpleasant topics that are too often avoided. On a lighter note, most of my series “Lost at Sea” was begun at my studio on our river estuary in France that was five minutes from the Atlantic. All the colorful pieces revolve around the ocean, fishermen, shoreline and sea life—my sheer adoration of the environment. Though I still create those pieces, the inspiration that first created the spark is now inside me so all I have to do is “time travel” into that mood, into that realm to paint more of them. “Jazz Suite,” a brightly colored series begun in southern France while listening to loud, rhythmic jazz now continues with new variations. A jazz quartet in Brussels even wrote a song to accompany a show of these paintings and just that honor spurs more in this series. Other extensive themes were inspired by trips to Africa, living in the Middle East and my collection of masks. Ancient “menhirs” or standing stones in Brittany prompted another creative surge while a free-lance photography job for a Belgian company was the source for my continued exploration about communication—or the lack of it. Then there are the organic shapes painted at five in the morning on the side of a Tuscan barn or paintings of fruit and vegetables inspired by markets in South and Central America. And yes, obviously living in Korea and traveling extensively in the Orient was the catalyst behind paintings featuring Asian motifs. I must admit that I’ve been so consumed with the November move here, unpacking for the 38th time and getting the studio organized that I haven’t come up with Asheville inspiration yet though I’m relishing nature and these spectacular mountains. Recently, when I attended superb Butoh performances by several local groups I felt that familiar buzzing surge that usually precedes hyperactivity. What was one of your most unique art exhibitions? Although my work has been shown in multiple locations all over the globe, the most interesting juried art show was a French one that explored Mary Magdalene as the theme. The exhibition began in Paris at L’eglise de la Madeleine and traveled all over the country. Then my piece was chosen to be transported by sailboat to Israel as a peace initiative for both the Palestinian and Israeli factions. It was lashed to the bow of the boat and a famous French female sailor maneuvered it from Les Saintes Maries de la Mer in the Camargue (amidst the fascinating yearly gypsy gathering) to Israel’s coastline. I had to laugh as the venture was featured in “Paris Match” along with Hollywood and French stars! I then donated another Mary Magdalene piece that was auctioned with the rest of the exhibition at Hotel Charles V in Paris. Little did I know that I was expected to describe the painting in French to a massive crowd and I froze up completely, standing there like a speechless moron. But by the finale of the sale, the art critic managed to send significant profits to children’s hospitals representing both political sides in Israel. Do you have immediate future plans? I mailed artwork to Bulgaria, France, Hungary and the Philippines for shows during the summer but didn’t get pieces done in time for two exhibitions in Australia. So I’ve got to get caught up with obligations. An installation emphasizing the horror of war combining pneumatic nails, wire mesh and overbeaten flax pulp is slowly emerging. A firm in Brussels that revolves my artwork to corporate locations in London, Rome, Paris, Luxembourg, Bonn/Berlin and Amsterdam is still waiting for at least twelve more oversized canvases that I haven’t even begun yet. Plus I’m in the midst of illustrating children’s books. I also need to find gallery representation here in the states but as the case of many artists, the business of art is my downfall. I just want to create. My journey began 4 years ago in San Antonio, Texas where I lived and worked for 36 years. It was time to retire. After one visit here, my husband Larry and I were on our way to Asheville. Like so many others, we were delighted with our decision and never looked back. LOCAL IMAGES in this show are places we visited as newcomers marveling at our good fortune in being here. It is an idiosyncratic collection of scenes that delighted my eyes, fired my imagination and made my heart beat faster. I had to continue my journey alone because Larry succumbed to cancer. In the wake of his death, my niece,asked me to come visit her and her young family in Hyderabad, India. I accepted and, as they do, one thing led to another and I was off on a 6-week adventure to the opposite side of the world. I am grateful to METRO WINES for letting me share images from such disparate sites, since they are really all part of one journey. The human brain is built for art appreciation, suggests a meta-analysis that looked at studies mapping brain processes linked to the arts. Viewing paintings engages a number of different regions of the brain, suggesting art appreciation is a natural biological process, according to the report in the June issue of the journal Brain and Cognition. The study found that paintings activated areas of the brain involved in vision, pleasure, memory, recognition and emotions, in addition to systems that underlie the conscious processing of new information to give it meaning. A meta-analysis at the University of Toronto pooled data from 15 studies conducted from 2004 to 2012 in seven countries. The studies involved a total of 330 participants ages 18 to 59 who viewed paintings by unknown and famous artists while in MRI scanners. 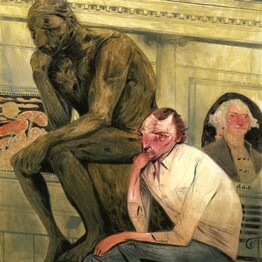 Participants were instructed to make aesthetic judgments in about two-thirds of the studies; they were free to view the images as they pleased in the other studies. Viewing paintings activated regions of the visual cortex, which processes visual information. This activity may be attributed to processing shapes and colors, the researchers said. The fusiform gyrus and parahippocampal gyrus, brain regions associated with the perception and recognition of objects and places, were highlighted, possibly by familiar faces and landscapes, the study suggests. The anterior temporal lobe, which conceptualizes information about objects and how they function, was also involved, indicating viewing paintings may trigger higher-order mental processing, researchers said. Also activated were the posterior cingulate cortex and anterior insula, areas associated with inner thoughts and emotional experiences, and the putamen, which regulates movements and influences learning. This could signal experienced or anticipated pleasure from viewing paintings. Caveat: Subjects viewed artworks inside the confined space of MRI scanners, a noisy environment not typically associated with viewing paintings. Some studies involved computerized images of paintings. Largely self-taught, Deanna studied with Katherine Chang Liu and Skip Lawrence. One of seven artists residing in Riverside Studios 174 W. Haywood Street in the River Arts District, Deanna is one of the artists whose work is on view at The Windsor Hotel, Asheville's new downtown boutique hotel on Broadway. Deanna is primarily a colorist who uses paint to communicate her inner experience and to translate the world around her. I believe that art-making requires a certain degree of risk, trust, and the emotional courage to lay oneself open, as does any relationship worth having. What I’ve discovered to be the crux in the evolution of my painting is my ability to find a place of inner stillness, then allow the conversation with the canvas to begin in the form of color, line, edge, texture, layering and flow. The phrase that comes to me when I put words to a theme is “Betwixt and Between”, and my intention is for the painting to be both a contemplation and exploration of the mysteries great and small that infuse my life. Ghost images of other lifetimes, snippets of memory and flashes of dreams remembered surface, each contributing to the story being spun on the canvas. I keep painting, pursuing that tantalizing sense of completion, of wholeness, of pure connection that eludes me, like the heat shimmer on a summer highway keeping its perfect distance. There’s a scene early on in the movie The Matrix, when Trinity and Neo first meet. “It’s the question that drives us”, she whispers to him. I believe we each have our own question that is also a fragment of a universal question. I paint as a means of visually exploring my connection to Limitlessness. My work is influenced by the movement I teach, especially GYROKINESIS®, by the music I listen to and by the landscapes I’ve lived in. While I’m drawn to so many 2D and 3D artists throughout history, ones I find particularly inspirational include early O’Keefe and Dove, and the Ab Ex-ers, especially Pollock, DeKooning, Frankenthaler and Diebenkorn. Also Robert Mapplethorpe and David Smith, (photography and sculpture respectively) The Fauves notably Matisse and Van Donegan capture my interest, as do Franz Marc and Kandinsky. And it goes without saying, Picasso and Cezanne. I appreciate the classics but my heart lies with the modern. Book Launching for Red Mansions, the sequel to the award winning first historical novel by Cynthia Drew, City of Slaughter. Join us @MetroWines on Sunday, May 11th, from 4 to 6pm for the book launch, wine tasting and to meet the author! The press release below was issued by the publisher. Cynthia Drew’s award-winning debut novel, City of Slaughter, chronicled young Carsie Akselrod’s flight from the Russian shtetl and her struggle to survive and rise above the living conditions of New York’s garment district in the early twentieth century. Now, in Red Mansions, Carsie’s story continues, following her life and times through the Roaring Twenties and the Great Depression. After her first husband, Louis Levy, was presumed killed in World War I, Carsie, married Chat Nussbaum, a lawyer from Chicago. Now, after six years of hiding in France, Louis, a sexist loser, shows up on Carsie’s doorstep, very much alive, expecting Carsie and their two daughters to welcome him back into the family. Instead, the Nussbaums turn him away and he begins a war of nerves with them that spans twenty years, while he fails at one foolish and often illegal business venture after another. Carsie has her own share of problems—a bedridden husband, a malicious and possessive mother-in-law, two willful teenage daughters, fragile nerves, and an addiction to lithium bromide tonics, not to mention a randy poet who takes up space in their apartment. Carsie struggles to hold onto her family, her business in Hell’s Kitchen, her way of life, and her sanity. What she has going for her is a tenacity forged in her youth in the lower East Side, where she learned that survival was all that mattered. Red Mansions showcases New York’s elite society, as well as its criminals, con artists, prostitutes, and gamblers. The story is further enriched by important themes and social issues—the underprivileged Irish, homeless children, the orphan trains, the tenements of Hell’s Kitchen, social snobbery, women’s rights in the workplace, and women’s issues of reproductive freedom. A novel about overcoming adversity, Red Mansions is also a gripping and entertaining story, with a heroine to cheer for. Cynthia Drew teaches Creative Writing at UNC-Asheville’s Reuter Center. Her short stories have appeared in numerous magazines and literary journals and her debut novel, City of Slaughter, recently won the Forward National Literature Award Silver medallion for Historical Fiction. After her first husband is presumed killed in World War I, milliner Carsie Levy marries Chat Nussbaum and together with Carsie's daughters, Sarit and Sophia, they settle into a quiet routine. But between the World Wars life outside the walls of the Nussbaum's red brick mansion on New York City's East 66 th Street is anything but quiet-the politics and pace of the Roaring Twenties and the Great Depression contrive in ways Carsie cannot imagine to wrest her of her family, her business and, ultimately, her sanity. Cynthia Drew teaches Creative Writing at UNC-Asheville's Reuter Center. Her short stories have appeared in numerous magazines and literary journals and her debut novel, City of Slaughter, recently won the Forward National Literature Award Silver medallion for Historical Fiction. This is her second novel. 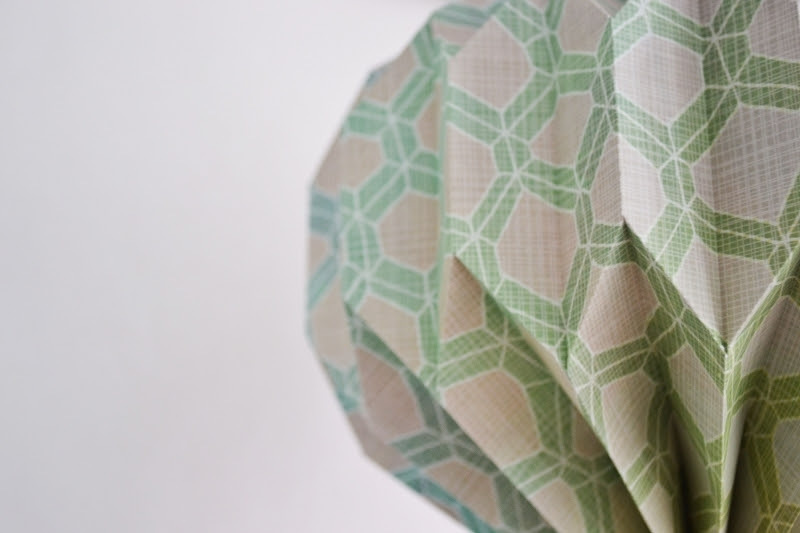 Who's up for a little paper folding action? 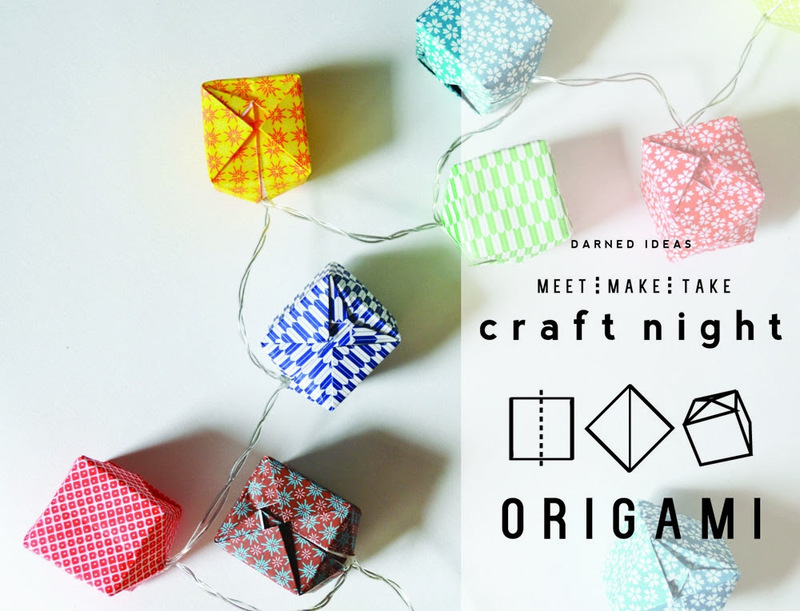 For May's Meet | Make | Take Craft Night we will learn some basic origami techniques. With them we will make our own origami string of lights and pendants! Origami paper & giveaway are provided by Whist, a greeting card and gift shop filled with unique and interesting goods for friends, family - or maybe even yourself! Visit them at 428A Haywood Rd, 28806. Melissa Terrezza is an artist, environmental activist, and UNCA art graduate. While in the studio, her creative energy is cultivated towards building intellectual and philosophical bridges using imagery, symbols and design. Her objective is to juxtapose captivating cultural, historical, and political references, encouraging multiple truths and realities. Terrezza’s pieces often depict the plight of our diminishing natural world. She believes that “art does not exist in a vacuum; it is a part of culture”. Terrezza states, “I want the images that I choose to offer multiple perspectives. For example, when I use honeybees they typically represent symbols of patterned behavior or sometimes they represent the hardships these bees face when exposed to pesticides.” Her work often references the expansive gap between socio-environmental and political ethics. Maintaining a close connection with her Native American ancestry, the relationship of native teachings and modern civilization rise to the surface in her creations and daily life.